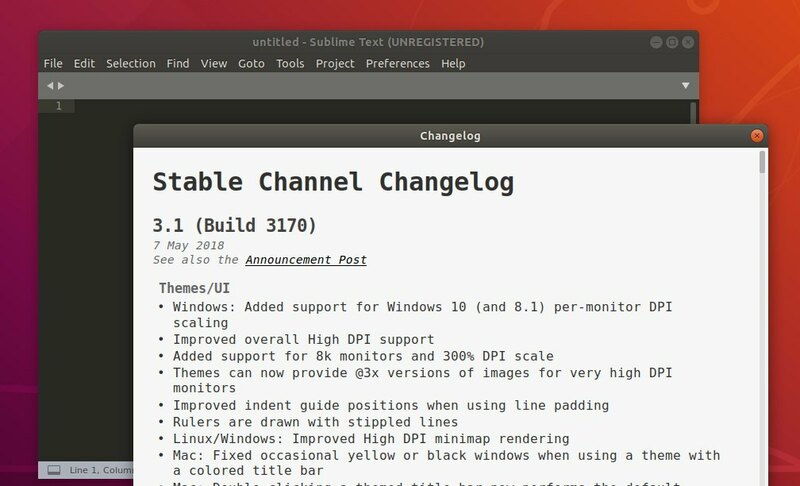 Sublime Text source code editor 3.1 was released a day ago lots of improvements for high DPI support. This is a snap (universal Linux package format) package maintained by the community. For those who dislike the snap package, and you can install Sublime Text 3 from its official apt repository by reading this tutorial.